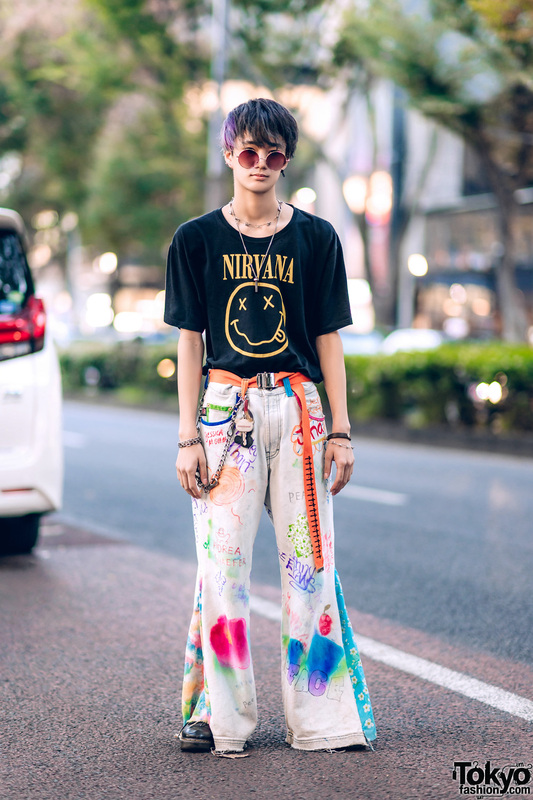 Japanese student wearing a yellow beret, red cardigan, zebra print skirt, and orange tights in Harajuku. 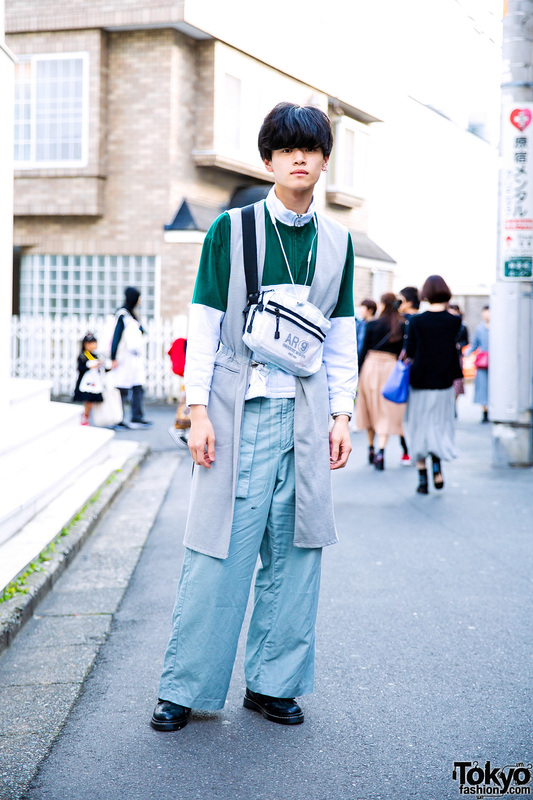 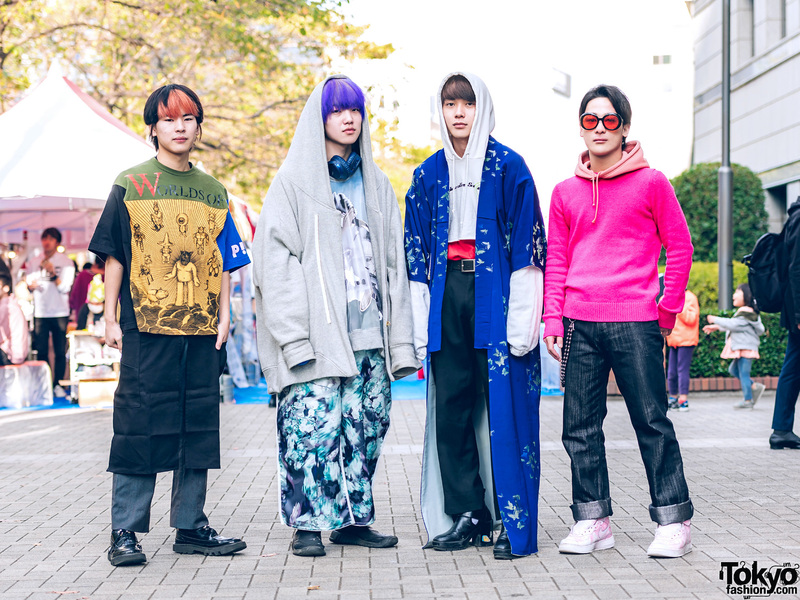 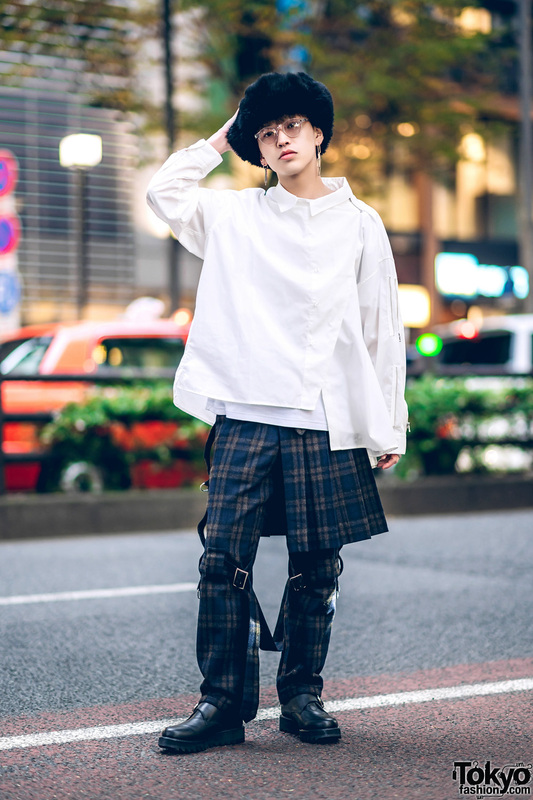 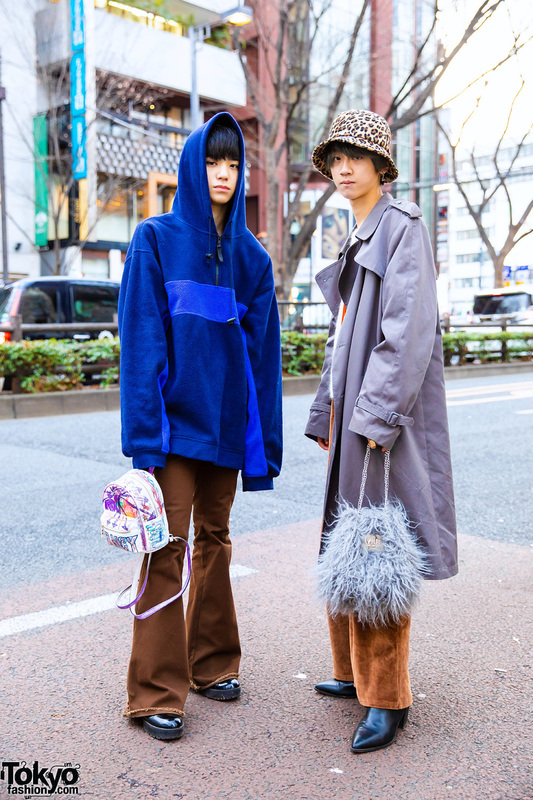 Harajuku teen guys in eye-catching streetwear styles while out and about on the street. 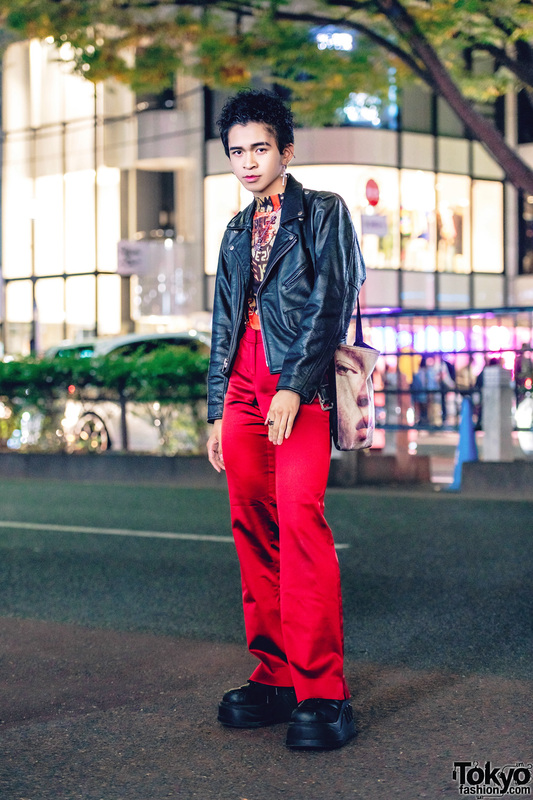 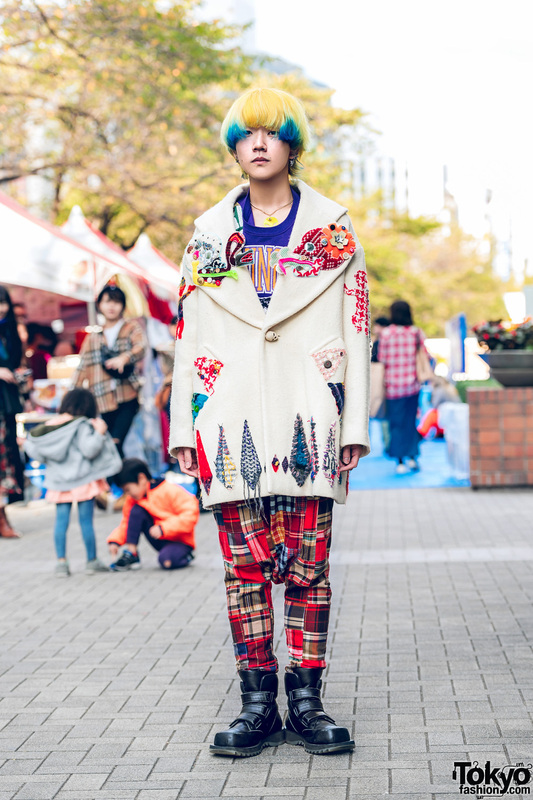 Harajuku guy with yellow and blue hair, white embroidered coat, and red plaid pants. 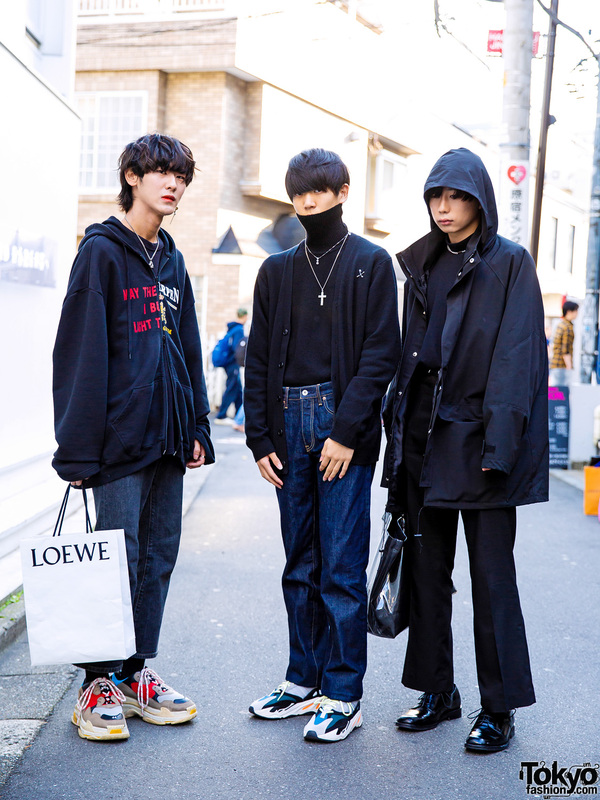 All black streetwear styles in Harajuku.